This year presented many challenges for police leaders nationwide. Recruitment and retention issues continued to impact staffing levels with dire headlines such as Ore. State Police at 'breaking point' with drop in troopers on patrol and Indianapolis PD experiencing 'mass exodus' of officers gracing the PoliceOne homepage on a regular basis. 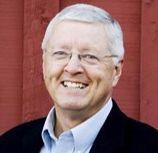 Use of force came under the spotlight in California, with proposed legislation that would make police use of deadly force “necessary” rather than “reasonable.” And the opioid crisis continued its relentless grip in both big cities and small towns, with law enforcement leaders forced to think outside the box and develop intervention programs that would save lives. 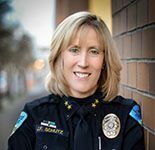 In this month’s Leadership Briefing, Chief Joel Shults, Ed.D., reviews some of the many critical issues police leaders had to navigate in 2018, while Forest Grove Police Department Chief Janie Schutz discusses the value of police-citizen partnerships in improving community safety. As 2018 comes to a close, I would like to wish you all a happy and safe holiday season and a prosperous New Year! 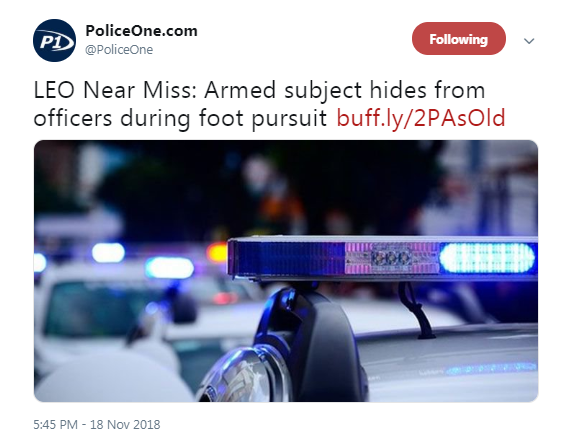 What do you think will be the biggest issue in policing in 2019? Email your predictions to nancy.perry@policeone.com. 3. Countdown to capture. Following in the steps of other true-crime podcasts, a Southern California PD recently launched a six-part series on an open murder investigation. 2. 365 days of LE awareness. The Calgary Police Service Canine Unit has released its 2019 K9 Heroes Calendar, which raises money for the Calgary Police Foundation, while connecting cops with their communities. 1. Online activity monitoring for law enforcement. A new eBook from the RAND Corporation outlines how PDs can develop strategies for social media and social network analysis.